Talking to people not only through my texts and videos has become part of my journey. A personal meeting is a way to pass on not only my experiences and emotions but also to respond and react on questions in a real time. I had a series of lectures and each was unique and required personal approach and preparation. I like talking to kids in a schools and sports clubs. I feel like I can pass on my experiences and share my journey with those who have their own paths ahead. When I see the admiration and enthusiasm in their eyes I know that what I do has a deeper sense. That’s why I’m doing free lectures and meetings with children. It is the right thing. Do you want meeting or lecture also for you? Do you need time and space to put your thoughts together? Do you want to find yourself, learn something about yourself or just make sure that you are on the right path? If there is any reason you want to go on a journey I would like to show you the possibilities. What the journey have taught me can also teach you. I am pretty sure it is worth it. I’ve deepened my ability to approach individually to every person. That allows me to be guide for others. Not everyone has 3 years to travel and not everyone have the courage to go alone on this kind of journey. That’s why I’ve decided to guide you. Being on a kayak and close to the sea means to be close to yourself. Are you looking for new experience or knowledge? Have you ever heard of that? Holding your breath for few minutes and feel as a fish in the water? It might sounds like science fiction but it is not. I have done this sport for last few years and as an instructor I teach this ability others. Actually it is more than a sport. It is a lifestyle. But you don’t have to practice yoga every morning, meditate or become vegan to do freediving and find the best benefit of it. This activity is literally breathtaking. It is not just about finding your girlfriends lost ring under the water. Or saving your friends on a boat by releasing their anchor. This might be admirable and you can gain evening full of gratitude from others. But the best benefit is coming from you to you. It is a connection with your body’s perception. It doesn’t matter if you want to feel more comfortable snorkeling, exploring wrecks or simply discovering the quiet beauty of underwater environment. Contact me and I will give you all the knowledge you need to make you feel comfortable and safe. Because what you do experience under the water you need to bring it to the surface. And I’ll help you with that. Do you want to dive in the water? On your single breath and be safe? Are you dreaming about holidays by the sea? And how about holidays on the sea. Sea views from the shore are beautiful, but with the view from the opposite direction, from the sea on the land, is incomparable. I pass through 9 European countries and I know places that even locals have no idea about. That’s a great benefit for you. If you are planning your first trip, you can put the organization on my head. On the other hand if you are looking for new destination I can pick a beautiful location for you, a place you haven’t visited yet. Sailing has its unique charm. You can sail silently where the wind takes you. You can visit the deserted islands, unique beaches reachable only from the water, or do a diving trip to deserted wrecks. It is possible to enjoy nightlife in cities or sleep under the stars. It is absolutely up to you. What I love about sailing boat is the fact, that everywhere you go you have always comfort and hinterland. 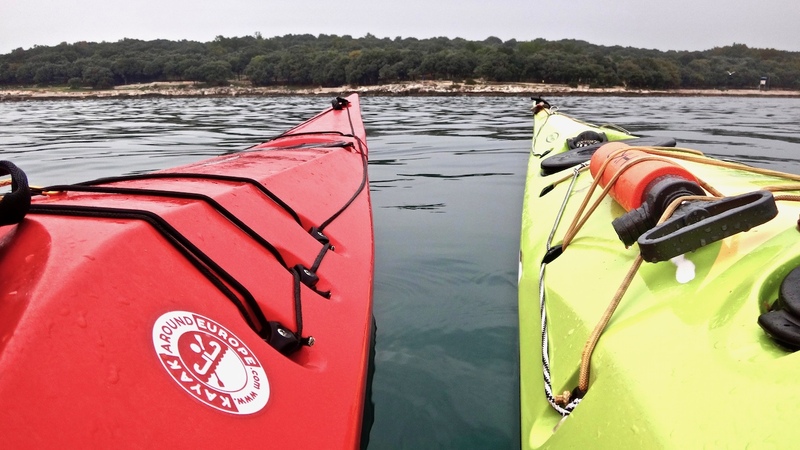 As a bonus, I can tell you stories I’ve gathered during my three-year journey in a sea kayak. There are so many stories that we could cross the ocean and you wouldn’t hear not one twice. Let me know and together we can plan your journey with me. The right one for you, your family and friends. Together we will find the best destination. Before I started my journey, I learned from the best I knew. Do you want to know how properly sit in a kayak? What to take with you on your expedition and what you should not forget? Or what you should leave at home because you will not need it? Do you want to know how to get out of the water and how not to prevent getting into the water? Do you want to be sure you can help others? I’ve paddled through 14 countries, covered more than 8 000 K and I’ve experience lots of unpredictable experiences. We can paddle together and I will teach you everything I know. 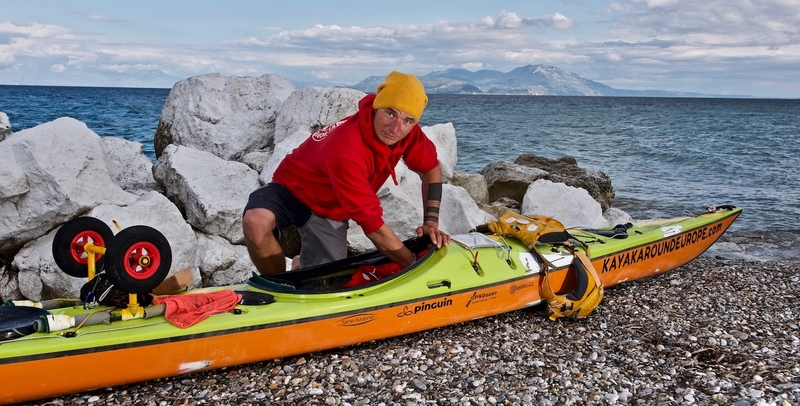 Do you want to know how to handle a kayak? Do you want to learn about navigation weather or how to repair a kayak? I assist people to go on self learning journeys. I teach how to safely handle freediving. I sail with people. So they can experience places that I know is worth it. I share what I’ve seen and experienced. I pass on the best I’ve learned on kayaks (to others). Anton Kirchmair on Amorgos… What now…?